Her post Oscar Winning interview! 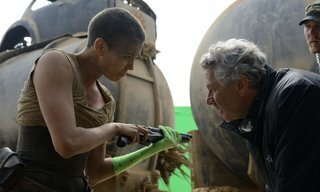 This year’s Best Editing Oscar went to Margaret Sixel for “Mad Max: Fury Road.” Sixel worked on the project for three years, wrangling almost 500 hours of footage into the final two hour screening time of the movie. 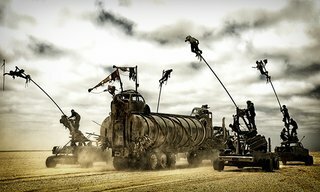 Art of the Cut talked to Sixel about cutting the most ambitious of the “Mad Max” franchise pictures. HULLFISH: Congratulations on your Oscar win! What was the post schedule like from the beginning of principle photography (or even before) through to the DI and mix. SIXEL: George is a wonderful collaborator. He loves talking things over and throwing ideas around. As we live together I am involved directly and indirectly with most aspects of the film – writing, storyboards, casting, production design. 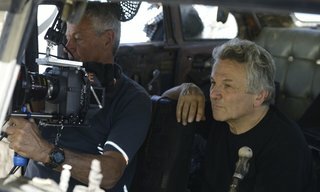 I have been very fortunate to have gone through the ‘George Miller school of film making.’ He has been thinking about the language of action films for over 30 years so that’s a wealth of knowledge to draw from. As the editor I am humbled by how much thought goes into a project before we even start. He does respect my opinion but to such a degree that I am careful not to pass judgment on anything unless I am pretty sure I am right. I don’t want to mess with the vision. It’s a big plus having that level of trust and familiarity with the director. I know exactly how George likes to approach the edit so the whole editorial department work towards expediting that. HULLFISH: How is the editor a storyteller? How did you help shape the story structurally, but also on more of a microscopic level? SIXEL: It’s a cliché to say editing is largely misunderstood, but that’s the truth. Even people who work in film don’t always get it. With readily available software most people can do basic editing. But it’s one thing to routinely put shots together but it’s another thing to forge a persuasive experience. The editor comes on when most things are already fixed but there is always room to move and the edit is the final rewrite. Some films far more than others. 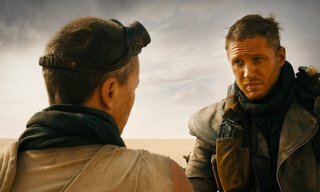 Fury Road wasn’t a film you could restructure in a big way as it was quite linear and took place over 3 days but there were things that were problematic and required some mental gymnastics. Editors definitely bring their own personalities, tastes, aesthetics into the work. 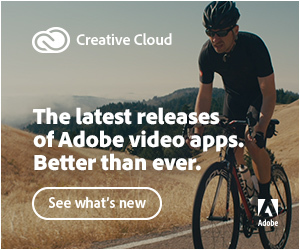 Every day one is making constant choices…is that a better performance, do those shots cut together, do we need a pick up, what can I achieve with vfx, is that music corny, can I repurpose any footage? HULLFISH: What script/story changes were made in editing? How did you arrive at those decisions? 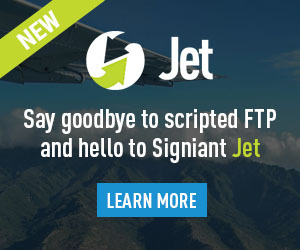 What was that process like? SIXEL: One of the major notes that came out of test screenings concerned Max and his backstory. 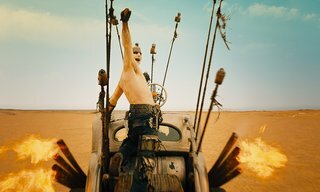 Audiences new to the Mad Max films wanted to know what had happened to him and why was he crazy? How come he didn’t speak? For a while there was pressure to do a synopsis of the first 3 Mad Max films and pop it on the front of the film but I resisted that. So we created the opening title/soundscape sequence about the fallen world and added the opening Max voice- over. There weren’t many expository scenes in the film and some people found that challenging. We also added the ‘little girl’ element to flesh out Max’s backstory. We experimented with flash or subliminal cuts to hint at past trauma. I tried many different ones. A few survived including the lava shots when Max wakes up after the storm. That’s the shot that was filmed at 1000 frames. Interestingly a relatively simple scene where they all decide to turn back needed to be adjusted. 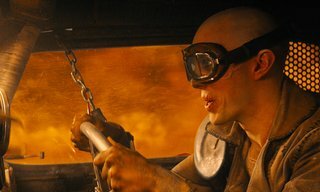 The first cuts of this scene gave more weight to Capable (Riley Keogh) and Nux (Nicholas Hoult) and not enough to Max. With some careful rewriting and editing I managed to shift the focus back onto Max. This was done without reshoots, only audio rerecords. Our test audience screenings also exposed another issue. People felt that we were setting them up for a big battle once they were back at the Citadel and were disappointed when it didn’t take place, so with some subtle dialogue reworking we dampened expectations. We also tried some voice-over at the end of the film but thankfully we dropped it. HULLFISH: What kind of issues did these screenings reveal about the macro-pacing of the movie? Not the cut-to-cut speed, but the overall tempo and structure of the story? SIXEL: The macro-pacing of the movie needs to be tweaked in editing. 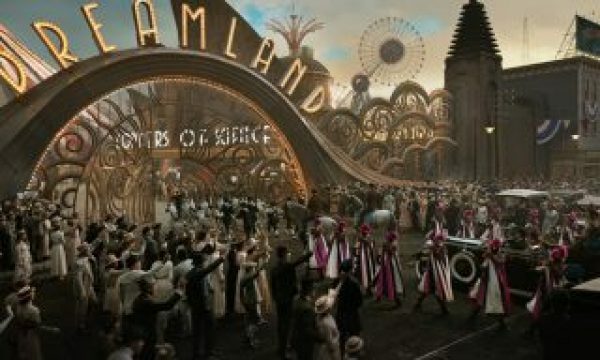 Each individual scene may work fine, but in the context of the overall film, changes need to be made to “get to time” or to keep the film from sagging at certain points. Another criticism of the film during post was that there was ‘too much action’. Initially I thought audiences would find the quieter middle section slow but it turned out to be the opposite. Audiences welcomed this section, especially the scene where we meet the Vuvalini for the first time. So most of the effort was put into cutting the action sequences down, dropping shots, increasing speed ramps and shaving off frames. It was a delicate balancing act, neither to short change sequences nor exhaust an audience. We gave each moment its best shot and only once we had a very refined cut did we feel justified in dropping material. There was pressure to cut the film down to 100 minutes but George and I didn’t want to cut too deeply and brutally where logic and the musicality of sequences were sacrificed. But it was a good exercise as it did get me to question every moment. The first attack by the ‘buzzards’ or ‘spikey cars’ was initially more extensive as I had such fabulous footage and felt obliged to incorporate the best of it. I was always conscious that the third act was to be an 18 minute chase/race sequence and didn’t want the audience to be tired of cars smashing into each other right at the climax of the film. But even the quieter moments of the film had material judiciously lifted. 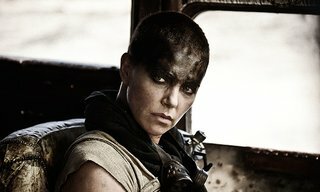 We dropped a big War Rally scene with the Immortan Joe and his War Parties as it felt better to stay with Furiosa and Max. Over time the cut grew tighter and more muscular. 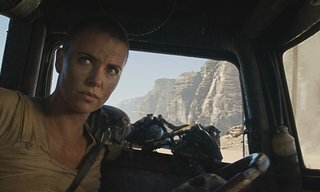 In early versions even the pre storm sequence where we intercut the approaching War Party, the Doof Warrior, Furiosa, her henchman Ace and Nux the War Boy, had many more loops. We eliminated a few scenes with the Immortan Joe and Miss Giddy as it felt long-winded and repetitive. I wanted to get to the moment in the storm when Max decides to break free as soon as I could. We couldn’t keep our main character bound and gagged for too long. So I was always mindful of keeping the story moving along and not being seduced by visually interesting footage. HULLFISH: What about the micro-pacing of your editing? The “shot-to-shot” pacing? How are you making those decisions? SIXEL: Most importantly one is always looking for progression in a sequence, with the character, the story or action, even if by small increments. I always try to make each cut count. Sometimes one has no choice but to cut. Most of the shots exiting big set pieces like the ‘Death of the Excavator’, were in the original design but I played around with the frame rates. I did the same with the last shot of the War Rig at the end of the storm sequence. We kept lengthening the shot and fiddling with the fades to black. This is also true of the final stunt, the amazing roll of the War Rig at the end of the film. HULLFISH: Talk to me about performance. Does your view of certain performances change from an initial scene cut to when you can watch something in context of the whole film? SIXEL: I feel I have a very good sense of a truthful performance. Yes, you can definitely change your mind once the whole film is cut together and one has to go back into the material. Something you thought was amusing or meaningful no longer feels appropriate. And actors can give you a range of performances and initially you’re not sure if it’s going to work or not but you give it a try. HULLFISH: How do you use temp music? When do you cut it in – after the initial visual cut? 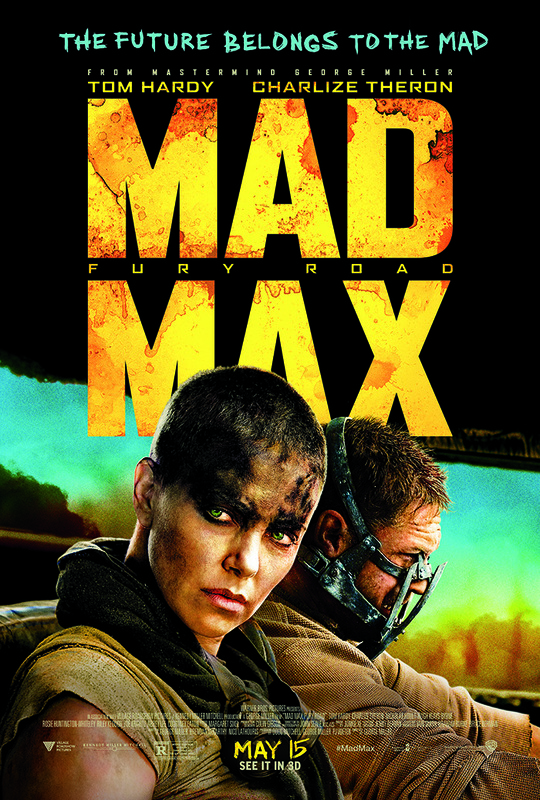 What temp music did you use for some of Mad Max? Is there a danger to temp score? SIXEL: George doesn’t like to cut with temp music. In fact we cut silently for a long time except obviously for the dialogue scenes. 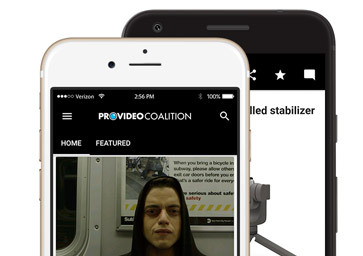 That is a big time saver as you don’t constantly have to worry about smoothing out sound edits. And you tend to be more rigorous with the cutting as you can’t hide behind the music. But he allowed me to use temp score for our first screening. That really helped me understand the shape of the film. We used an eclectic mix of music ranging from The Social Network, Led Zeppelin, Japanese taiko drumming, opera to more obscure European composers. When Tom Holkenborg started to score the film we kept updating the cut. Having the score while you are editing is a huge gift. 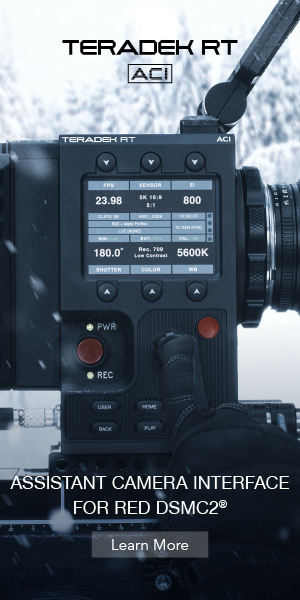 It can expose weaknesses in the edit, where shots have been too brutally cut or reveal sections that not even music can save and so need addressing. HULLFISH: How important is sound design when you are cutting scenes? How involved do you get in trying to build at least an initial sound design? Does it alter the visual cutting? SIXEL: I might ask for specific sound effects but I didn’t personally do any sound work as we had sound editors on for a long time building the track. It’s very important to have a decent track early so the test audience screenings have some polish. It is really hard work for the sound crew as we are constantly changing the picture. I cut with these temp mixes in the Avid along with the sync sound. It does get a bit crazy at times. Especially as I keep up to 8 versions of vfx shots along with everything else. HULLFISH: Do you get a sense of rhythm with your cutting – especially of action, but even of dialog? Where does that rhythm come from? How is editing musical? SIXEL: I find this hard to articulate. Rhythm comes from many things. It’s definitely inherent in the coverage or the style of the film. I am very conscious of rising rhythms and building rhythm within a scene and the overarching rhythms of the film. I have learnt a lot of this from George. He loves talking about ‘staying on the wave.’ Actors too bring their own rhythms to dialogue scenes and as an editor you want to be true to that. Occasionally you have to force the rhythms but I think you can always tell. First time directors usually direct actors too slowly as they think every moment is meaningful. HULLFISH: How do VFX affect your cutting? So much of what an editor does in determining a cut is based on the action within the frame. So do you have to use your imagination when cutting VFX or are you using highly developed PRE-VIZ and POST-VIZ? 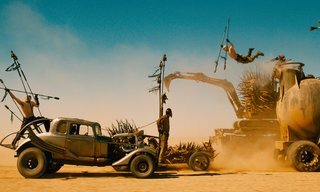 SIXEL: Most of the elements for Fury Road were shot for real so it wasn’t that hard to visualize. And we had a post viz team doing very good comps for us while we were editing. But it’s still important to know what visual effects can do, otherwise editors are rejecting material for the wrong reason. Most of the vfx work was subtle but we did manipulate the footage a great deal, smoothing out the whole experience. We added dust, changed skies, comped in missing vehicles, changed backgrounds, split the screen to use different performances, to name but a few. I was fortunate to have worked on “Babe 2” and “Happy Feet” so it’s part of my thinking. Animation and live action are two very different beasts but one informs the other. The Toxic Storm was the big CG sequence and that had been carefully pre-vized. But you still do have to be mindful of what the eventual shot is going to be as there can be the temptation to cut too brutally and once a completed shot is delivered you have regrets. HULLFISH: What is your approach to a simple scene? You come in to work and… how do you watch or take notes on dailies? Do you do stringouts or KEM rolls or selects reels? SIXEL: As I look through dailies I start pulling bits out and stringing a whole lot of shots together. I have a rough idea in my head and cant wait to get the scene into a workable shape. In our cutting room we call it the ‘zone’ where you’re in a frenzy to get it down before the idea eludes one. On this film it was an achievement just getting the shots in the right order. 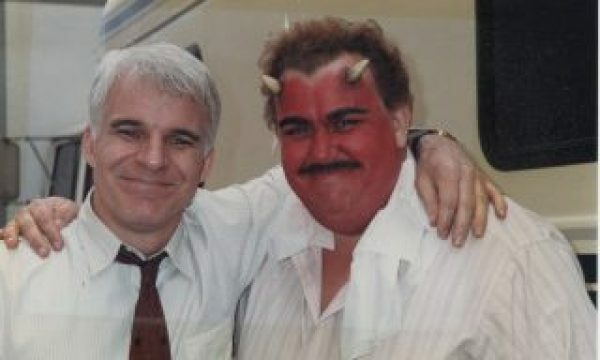 Once I have something decent, I do alternative cuts as George really likes to see how you have reached your decisions. So there’s a lot of experimentation. HULLFISH: How do you deal with scene revisions? Do you sometimes find the need to stop revising and just start over? SIXEL: We are very methodical about revisions. With dialogue scenes I am structurally very close but George likes to check every performance. If I was a director I would do the same thing. Sometimes I think as an editor you can cling to certain cuts as you like them or it was hard-won but one shouldn’t be afraid to throw scenes out and start again. HULLFISH: What scene or scenes were difficult to approach? What made them difficult? Amount of footage? Number of options? SIXEL: The amount of footage was over whelming at times. As much as 20 hours of footage each day of production. Fortunately we had the time to really scour the footage and not feel that we had missed anything. The scenes that George was forced to simplify on set became the hardest. There is a night scene where the War Rig gets bogged and I have to say we got bogged down here too. In the end we made it very simple, aided by a few clever CG shots. HULLFISH: I’m assuming you were editing in Avid. Have you tried other NLEs? What do you like and dislike about Avid? 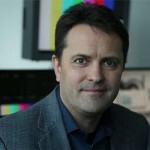 SIXEL: Since I have been editing on and off for about 30 years I have tried most systems. I cut on film for a long time and have lived through the transition to digital. 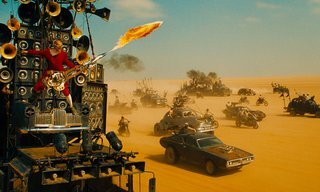 On “Happy Feet” we used FCP but we switched to Avid for “Fury Road.” It was rock solid. HULLFISH: You won the Oscar against some VERY different types of movies. How do YOU judge the editing of others? 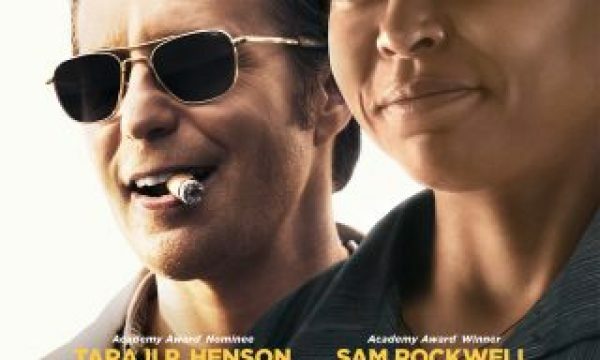 What’s a really well edited movie? SIXEL: I love that about film and editing. There’s room for all sorts of styles and approaches. I do have some recent favorites like “The Imitation Game” and “Argo,” both beautifully cut by William Goldenberg. When I watch a film I want to be caught up in it and don’t specifically think about the editing. If it really works I go back and attempt to analyze it. Believe it or not I am more an indie person. An old favorite is “Rosetta” directed by the Dardenne brothers. It has little dialogue, no music and is very moving. HULLFISH: Any final words of wisdom? SIXEL: I don’t think young editors realize how tough it can be. Especially on big budget films where there’s a lot at stake. 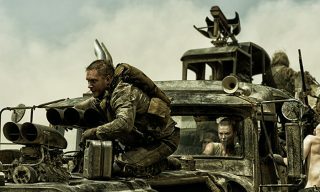 “Fury Road” really exhausted me on many levels. You have to look after your health and sanity. I think my greatest achievement was remaining objective right to the end. To read the previous Art of the Cut interviews, use THIS LINK. Follow me on Twitter @stevehullfish to stay up to date with future interviews and news about editing, post-production and color correction.